Hing which is always the favourite number One of all. 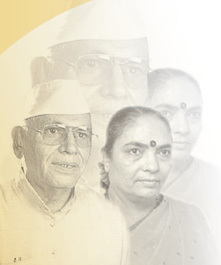 The founder of the firm Nasik Hing Supplying Co. Shri Kanjibhai Nanjibhai Thakkar is popularly known as Hingwala. He hails from Anjar, a place in Kutch, Gujarat. He lost his father in childhood, then he came to Mumbai and started his business. Once he visited Nasik as a pilgrimage place with his wife Shrimati Muktaben Thakkar who fell in love with Nasik and inspired him to settle in Nasik. He found that none manufactures Asafoetida i.e Hing in Nasik and so he decided to start it. He then learnt the manufacturing and marketing techniques in Mumbai worked hard and started Nasik Hing Supplying Co. four decades ago. 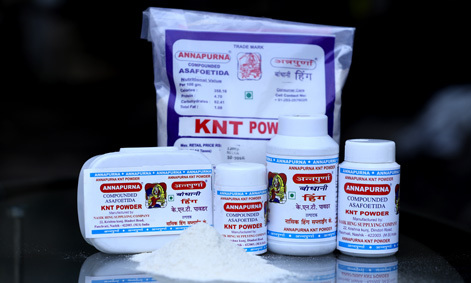 He visualised the scope for Hing and started first in Nasik a small scale industry with registration no 11-16-00001-PMT-SSI date: 1-2-1968 He registered his trade mark as "Annapurna" bandhani hing (compounded asafoetida) and the business reached to heights soon. And then is the history.